MEPs accused national governments of dragging their feet on the relocation of refugees during a debate in plenary on 16 May. The plight of migrants risking their lives to cross the Mediterranean has shaken Europe to the core in recent years. 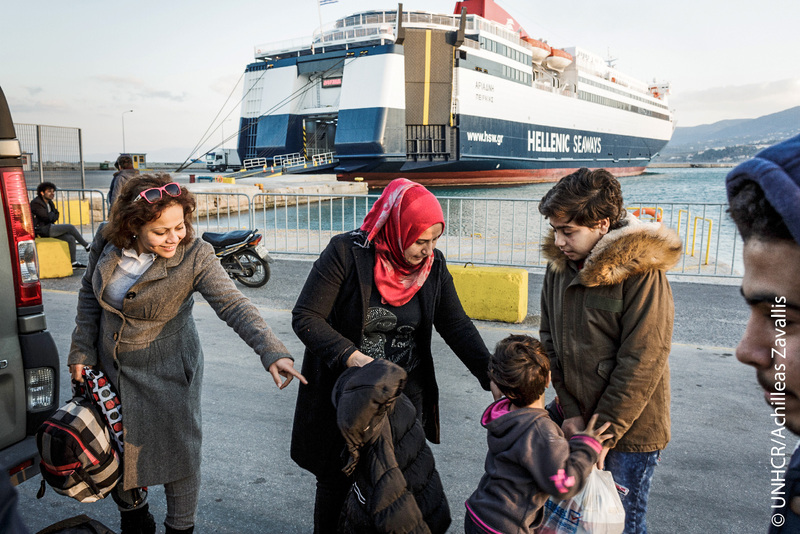 With frontline countries such as Greece and Italy affected the most, relocation is one way to share the burden. Ahead of a September deadline for the relocation of 160,000 asylum seekers from Greece and Italy to other EU countries, today MEPs accused national governments of dragging their feet on refugee transfers. MEPs vote on a resolution on relocation on 18 May. Against the backdrop of an upsurge in sea arrivals in the summer of 2015, the EU adopted two emergency measures to relocate 160,000 asylum seekers from Greece and Italy. With only 18,418 people relocated as of 11 May, in a plenary debate today MEPs criticised EU countries for failing to follow through on their commitments. They also insisted that relocation alone will not resolve the crisis. Helga Stevens (ECR, Belgium) said it was unfair to simply hit out at northern European countries: “Greece and Italy are not managing to organise the inflow of refugees.” She also noted that the Dublin rules, which determine what EU country is responsible for processing asylum applications, are not being respected. Angelika Mlinar (ALDE, Austria) said: “It is not a question of ability, but of willpower. It’s high time for member states to follow through on the commitments they entered into.” She also compared the EU’s efforts with those of countries such Jordan, Lebanon and Turkey where millions of refugees have been accommodated. Cécile Kyenge (S&D, Italy) pointed out that only two EU countries (namely Malta and Finland) were on track to meet their obligations and asked Migration Commissioner Dimitris Avramopoulos what would occur following the September deadline. He responded that if member states do not increase their relocations soon, the Commission would not hesitate to launch infringement procedures. Ska Keller (Greens/EFA, Germany) welcomed the Commission’s pledge to take action against member states: “It is not an issue of capacity, it is purely down to a scandalous lack of political will. We’re talking about people who are fleeing from war and persecution, and unaccompanied children who are being left alone in overcrowded camps.” Last year, 63,300 unaccompanied minors applied for international protection in the EU, with 57% of all applications registered in Germany alone. A number of MEPs stressed that relocation alone would not solve Europe’s migration crisis. Ska Keller noted “a good Dublin system, common rules and legal pathways are also needed”, while Cécile Kyenge said: “We need a policy to allow safe and legal migration channels, as well as integration policies in the host countries.” Angelika Mlinar also lamented the absence of “a proper EU asylum system”. MEPs were also critical of the role of traffickers and smugglers. Helga Stevens said: “Every asylum seeker who arrives illegally using human traffickers should be sent back to a safe place in the region of origin.” Auke Zijlstra (ENF, Netherlands) pointed the blame at “NGOs who are working with human traffickers” adding: “We should not relocate these migrants as we are simply rewarding criminal behaviour." MEPs vote on a resolution regarding relocation on Thursday 18 May. Watch it live online. The European Union is working to fairly distribute refugees across Europe. Welcoming refugees is also a matter of helping people find a place in our society. Read our article on the EU response to the migrant crisis. With 73% of Europeans wanting the EU to do more on migration according to a new poll, discover what measures the European Parliament is already working on. Some 244 million people were living abroad in 2015, including more than 20 million refugees forced to leave their country due to conflicts or human rights violations. The increased migration flows to Europe and the thousands of refugee children currently missing throughout Europe show the limits of the current EU asylum system.